NXT Geek: Tetrix and other updates! 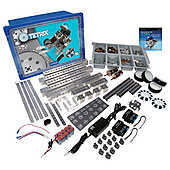 A few weeks ago I got the Tetrix Education Base Set sold by Lego Education that is compatible with the NXT for my birthday! 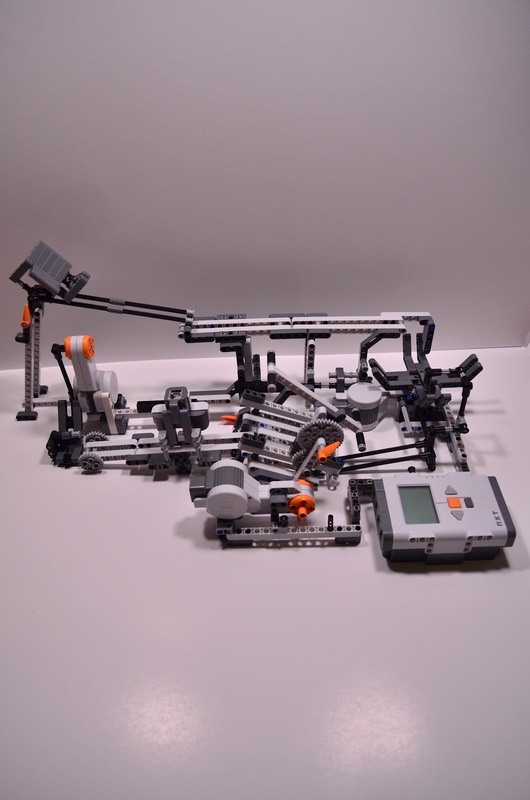 It is like a Mindstorm NXT on steroids! All parts are made out of aircraft grade aluminum (a strong lightweight metal) their is four motors and a ton of parts, it all hooks up to the NXT the controller. I will be posting some of the projects that I make with my Tetrix/Mindstorm on my blog, Although I won't be posting any projects this week because of a broken charger which should arrive sometimes next week. Okay so my GBC "The Circulator" that I built got featured on the NXT Step(xD) and the blog editor asked me if I was going to make building instructions, I decided I would so I commented back and told him I would have them up in a couple of weeks. So as of right know I am putting the circulator back together from just the pictures I took and am aiming to finish building it by tommorow and hope to have the instructions done sometime next week! I have some awesome projects planned and am going to make them soon! So stay tuned for the next couple of weeks! I was just wondering if anyone knew of a good RobotC tutorial that I could use? (I need it for programming Tetrix) Also how hard is it to learn the language? Thanks for the info! I will be buying the software after my thirty day free trial is up! I am also wondering how easy is it to learn? Yes it is worth buying! I will check your blog out.